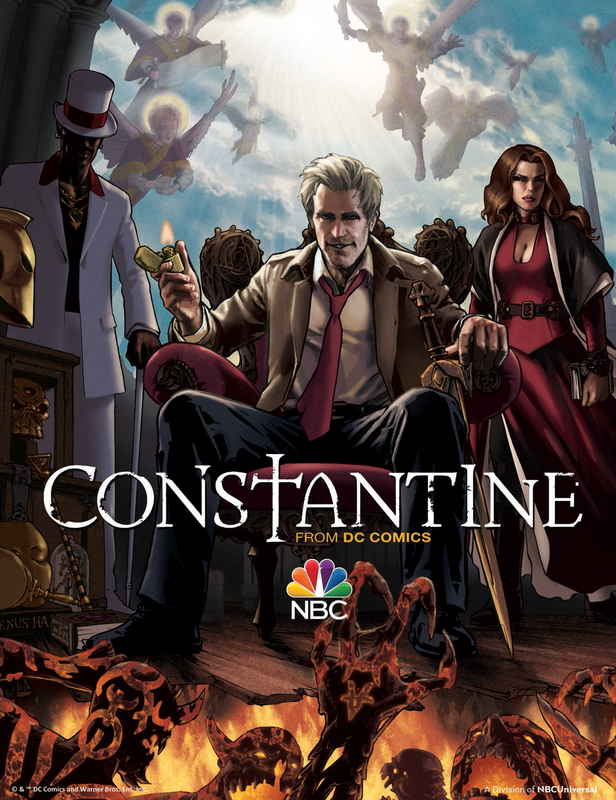 Things are gearing up for NBC’s Constantine TV Series. The little Hellrazer has a comic-art inspired poster by DC Comics-vet Gene Ha that shows pretty much John’s spiritual razor-wire act. The poster also feature adversary Papa Midnight. But even with all this we’re sure the blasphemer will find redemption… despite damning a little girl to hell… right? Oh, yeah, little ‘easter egg’ maybe… does this look like Doctor Fate’s Helmet to you? Dr Fate’s helmet in Constantine poster? Let’s hope he doesn’t put it on.